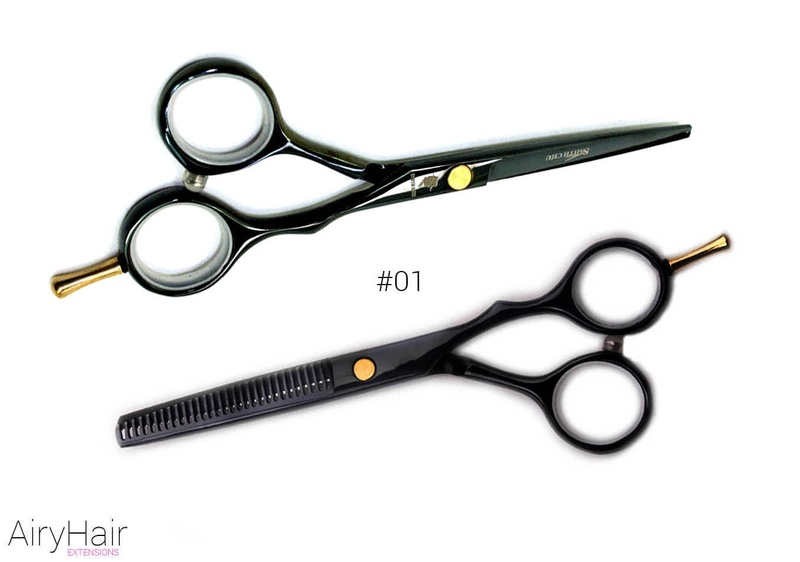 Cutting and hair thinning scissors are definitely one of the most essential tools every hair professional should have. 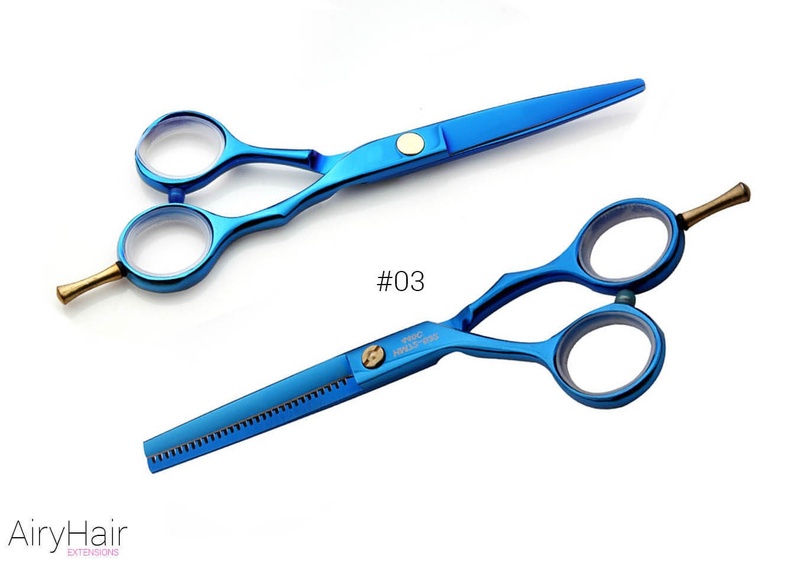 Buying high-quality scissors can greatly influence your work in a positive way and you’re client’s satisfaction will surely go up. You can also use this scissors at home if you like to cut or thin your own hair. Using non-professional scissors to cut hair is definitely not a good idea as it can damage the hair resulting in split ends. And the haircuts will definitely not look that good because it’s very hard to be precise and cut hair properly using non-professional scissors. 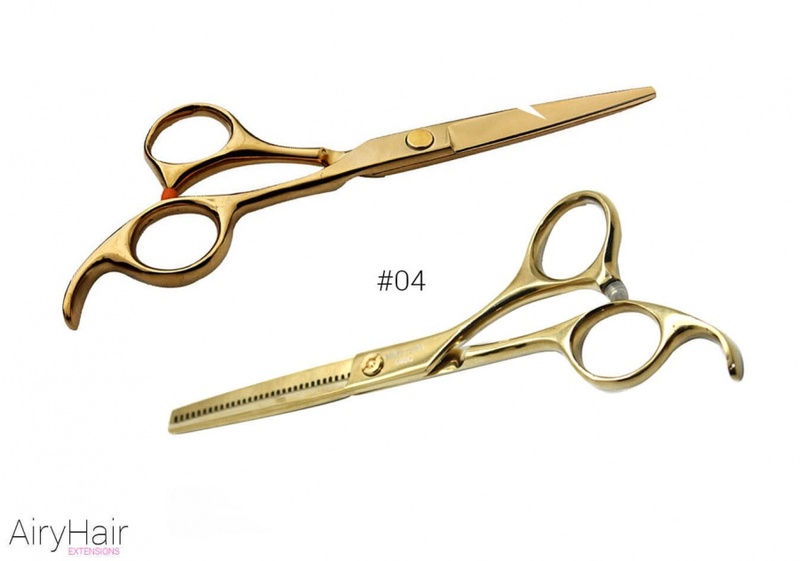 Hairdressers definitely know that use only the best tools out there, but if you’re not a professional and still want to cut your own hair, it is imperative that you use quality scissors and not just some you have lying around the house. 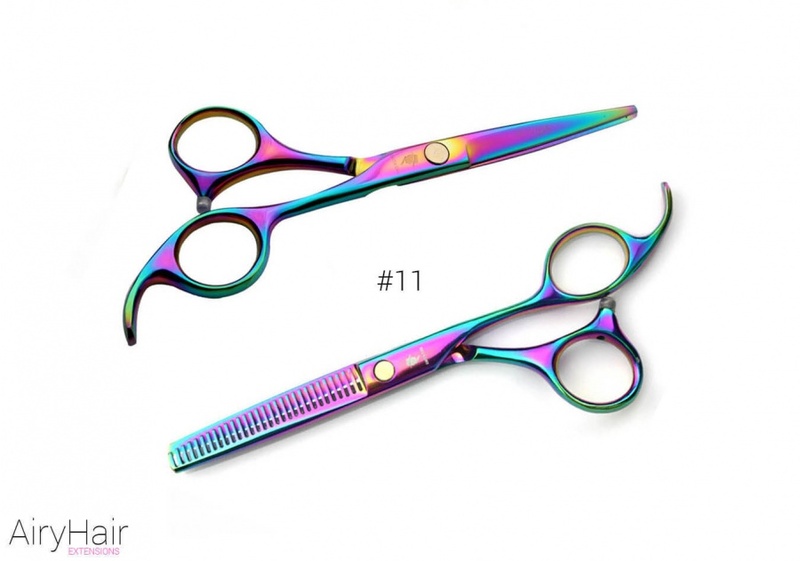 Our stainless steel scissors come in a variety of stunning reflective colors. 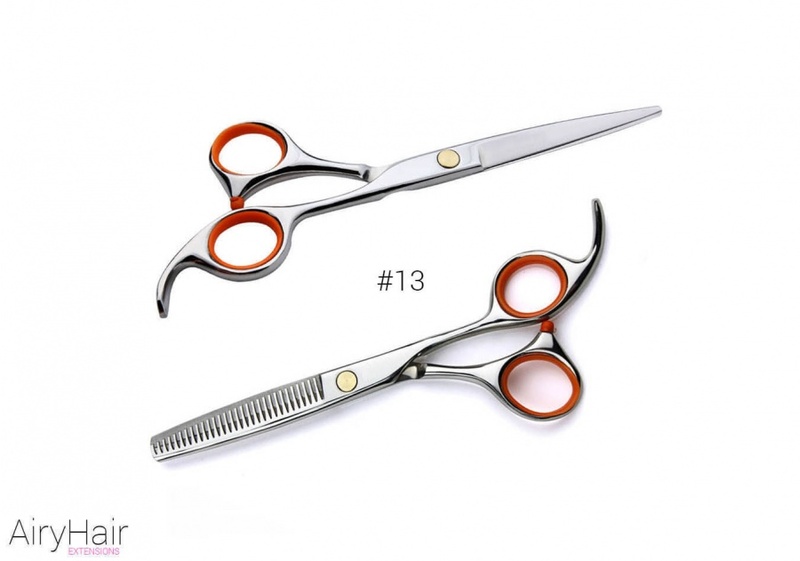 Their design is classic and the shears are very easy and comfortable to handle. 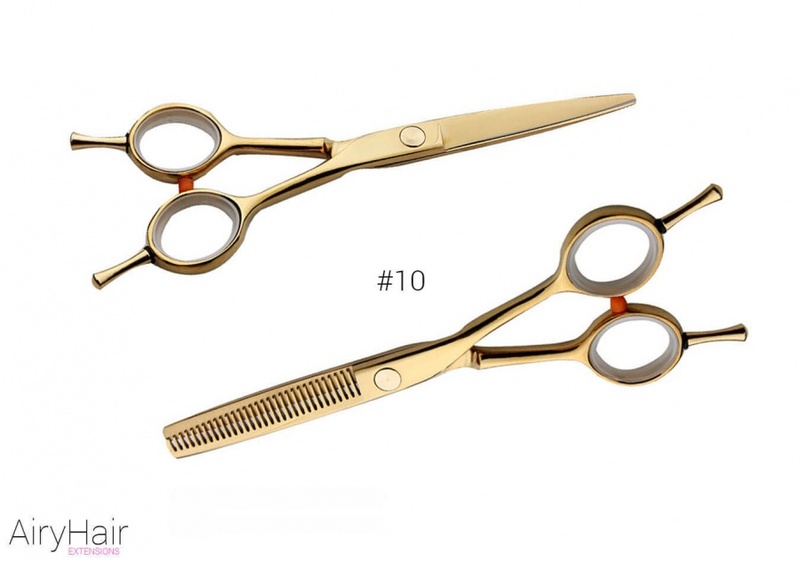 If you’re a hairdresser, that is something that’s very important since you spend a long time using them. 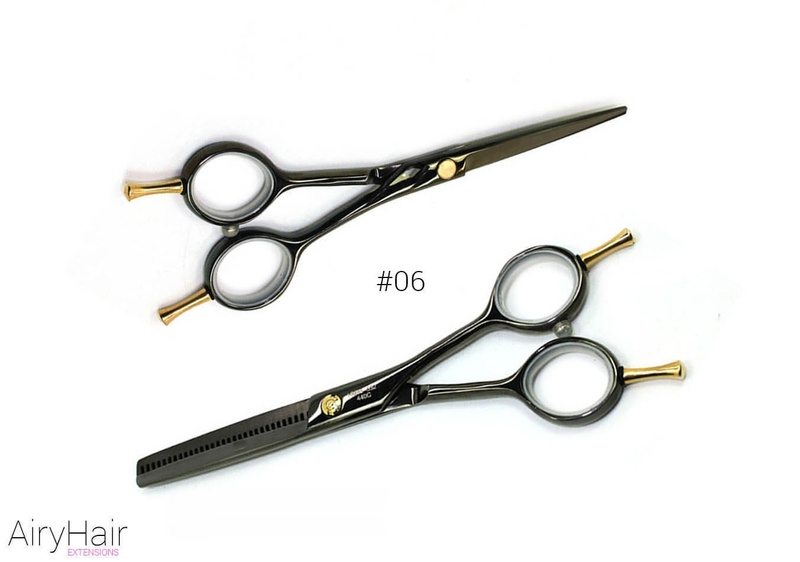 The scissors need to be light and fit your fingers comfortably. The blades are very sharp which ensures precision and neat cuts. If your blade is dull, there is no way that you can do a good haircut. 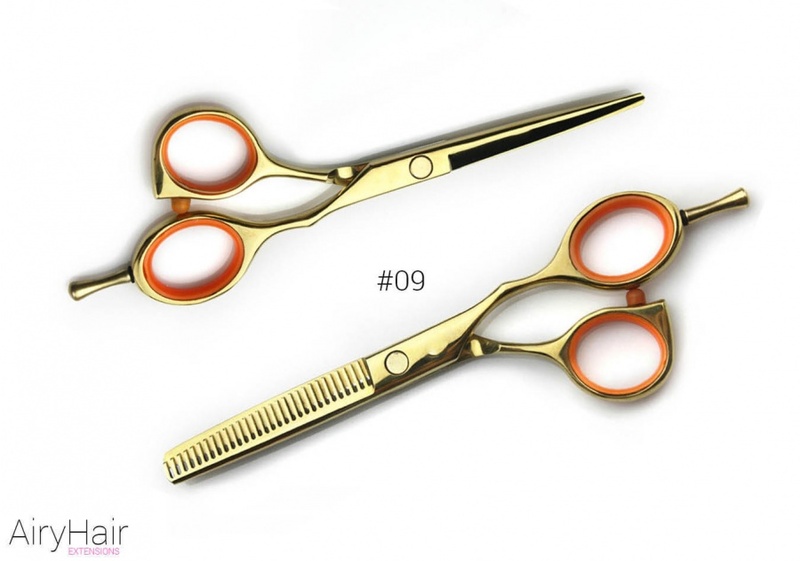 Using the cutting scissors is very simple and you can make endless haircuts and looks with such ease. 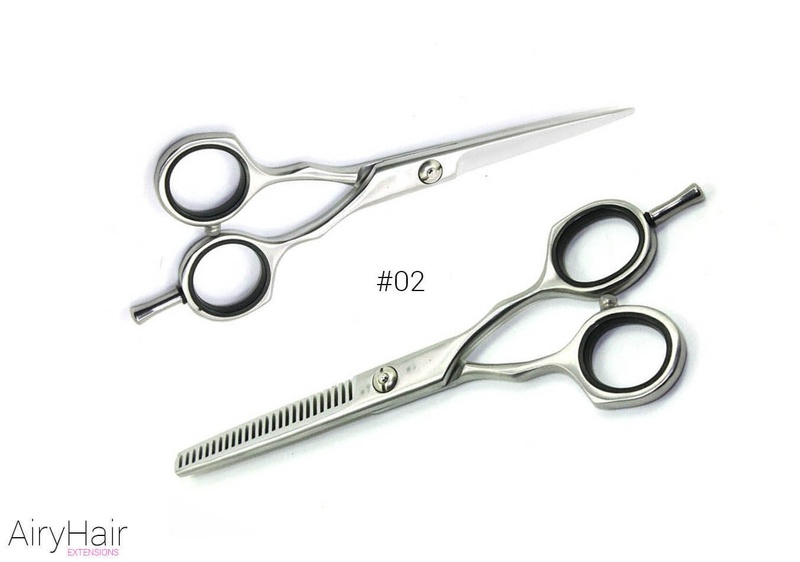 The thinning shears require a bit more skills, but are still pretty easy to use. You can use them in order to remove the unnecessary volume, texturize, but also to cut hair if you want thinner ends. They have a sharp serrated edge which does the thinning while you cut. The thinning rate is somewhere around 15-25% which is a nice balance. How to Cut Hair with Cutting Scissors? The cutting shears are pretty straightforward to use. You simply need to take a strand of hair in your hands, decide where you’re going to cut, and move the scissors along your fingers. 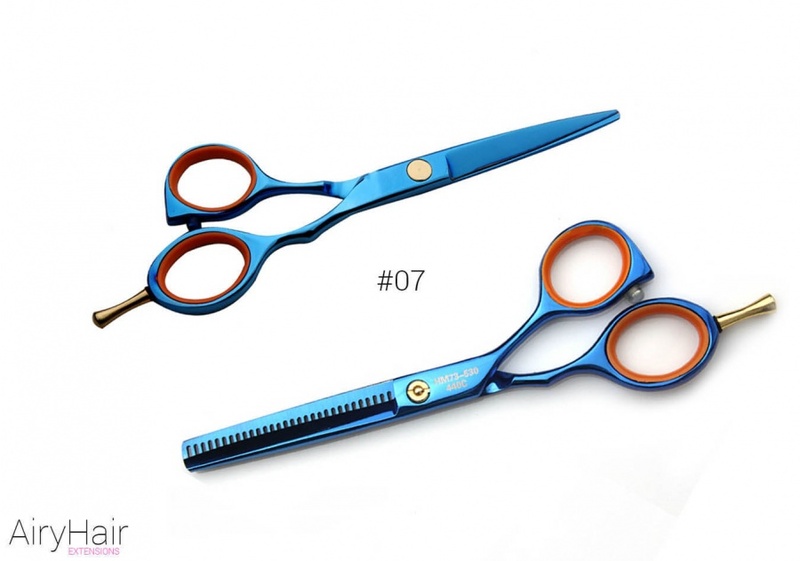 Since our cutting scissors are very sharp, be careful not to cut yourself or your client. If you want to cut your own locks, you can actually do it pretty easily as long as you don’t want a complicated style. For that, it’s best to go to salon. But if you need a simple cut, you can definitely do it at home yourself. One of the easiest ways to do it is section your hair down the middle and bring both parts to the front. (It’s easiest to do this while standing in front of a mirror). Using a comb, brush your strands thoroughly, making sure you get rid of all the tangles and knots. That will ensure that the cut will be perfectly even and nice. Starting on the first part, take the hair into your fingers and slide them down to where you want the cut to be. Make sure to keep your head perfectly straight while you’re doing this. And for safety reasons, it is best to cut less than you need to at first because you can always cut more, but if you cut too much, there’s no way of getting that inch back. So be very careful, especially if it’s your first time doing this. When your fingers are in place and you’re ready to cut, take your professional scissors in the other hand and start cutting below the fingers. Be sure not to move your fingers while you’re cutting. Repeat the same process on the other side of your head. The result you’re going to get is a nice oval shaped cut. Although you’re cutting the hair straight, when you move all of it to the back, it will create a nice rounded shape. This is a classic cut that is always fashionable and works for all hair types. Another cool trick you can use for cutting your own hair is by making a backwards ponytail. So instead of bringing all of your strands to the back and collecting them into a ponytail, you do the opposite and tie the ponytail at the top of your forehead. That way the hair is literally in front of you while you cut it. So you brush the ponytail once again and measure where exactly you want to cut. Take the ponytail by your fingers and move them down, gripping tightly. Now take your scissors and simply cut in a straight line. How to Cut Hair with Thinning Scissors? Moving on to thinning shears, if you only want to do a bit of texture on your ends, you’re simply going to hold your hair out and start cutting. You can do this throughout all of your ends to remove that extra bulk. Remember that hair should be dry when you’re using thinning scissors. If you want less thickness in your locks, it is recommended that you thin out the mid area of your strands. That way you don’t go too short and you don’t have any pieces sticking out. 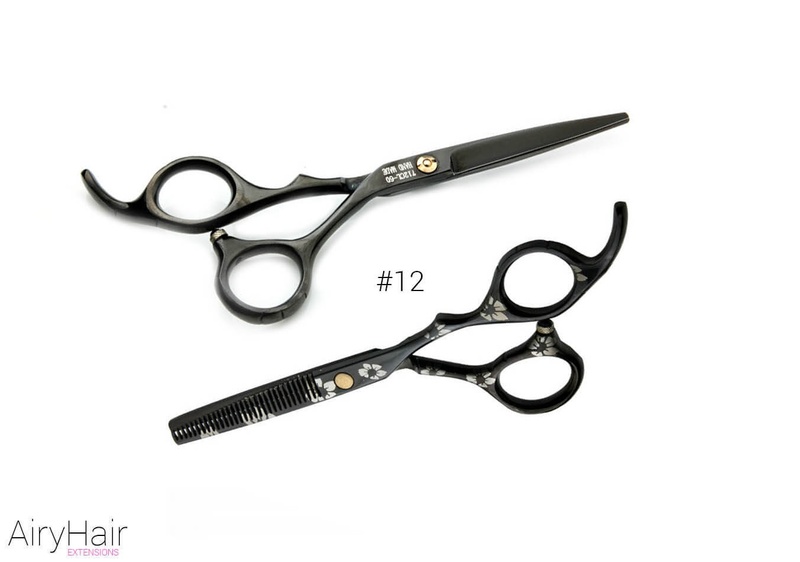 Thinning, or blending shears, also perfect for creating a steep angle. Almost all haircuts include some kind of angles and uneven ends. There is just so many things you can do with it and possibilities are endless. You can experiment and develop your own unique technique that your clients will love. There is really nothing that you can’t do with these scissors. They can be used at home as well, but it is recommended that you have at least some knowledge about thinning hair or have a friend that will help you. 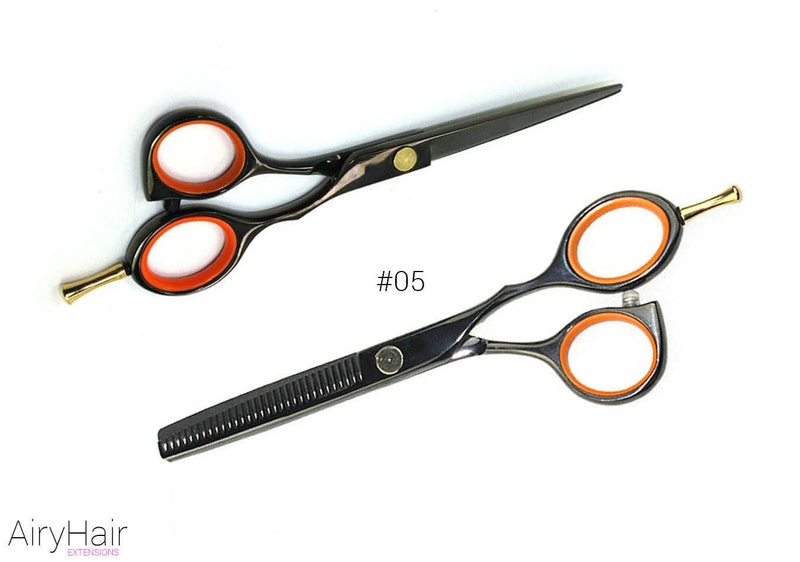 Beginners should definitely only use the scissors on the ends and be very careful not to cut or thin out too much.